There’s no better way to embrace the winter season than preparing a hearty, home cooked pot of chili. Nothing compares to the feeling of coming home from a long day of work, to a hot dinner, ready and waiting for you. 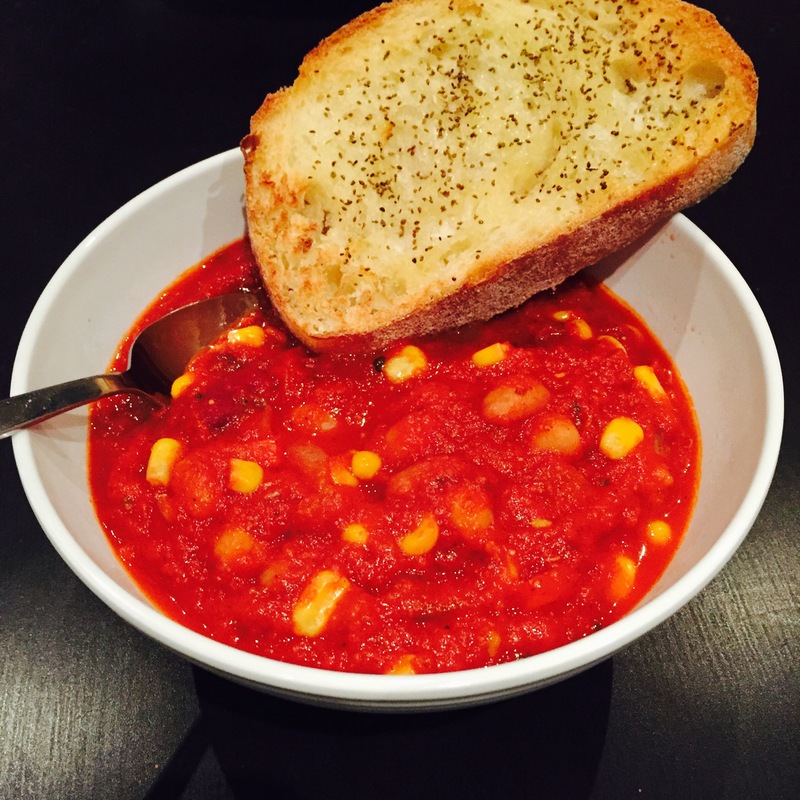 If you plan your meals a week ahead, I highly suggest adding this vegan chili to your menu. 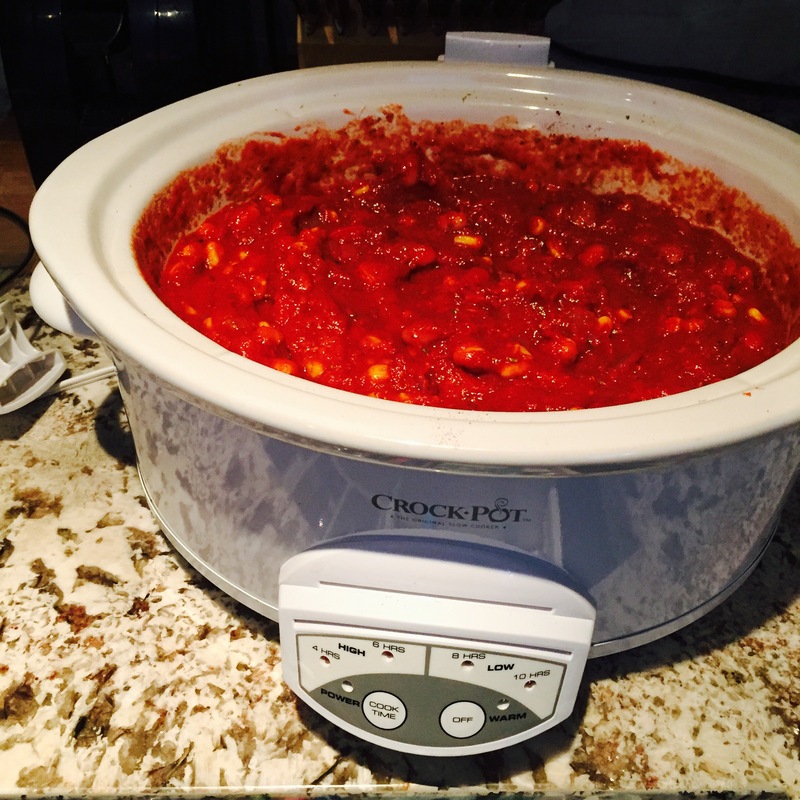 Invest in a crock-pot so that you can get the prep work out of the way early in the day, and have little to no cleanup. 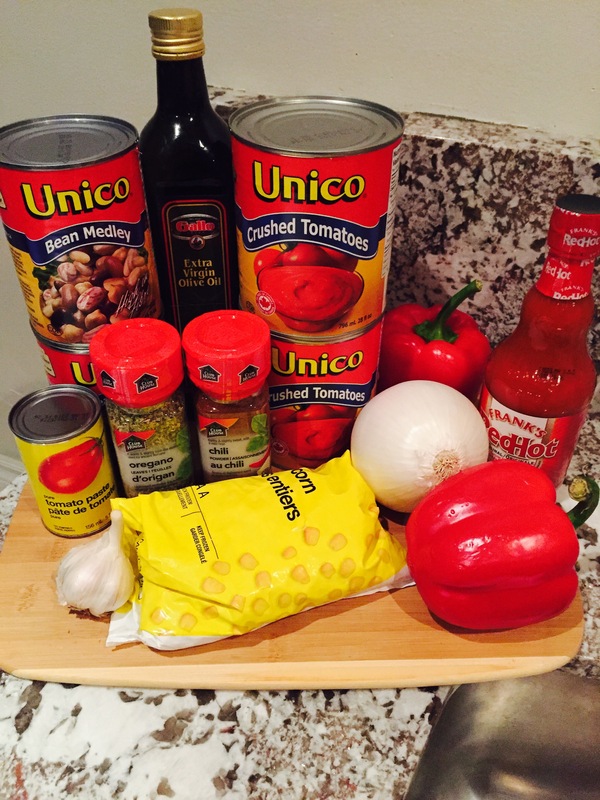 Chili is an amazing culinary creation. You really can’t go wrong with plant-based ingredients, and this gives you the freedom to make it different every time. You can also flexibly experiment with the heat level and the spices, in order to really give it your own unique taste. 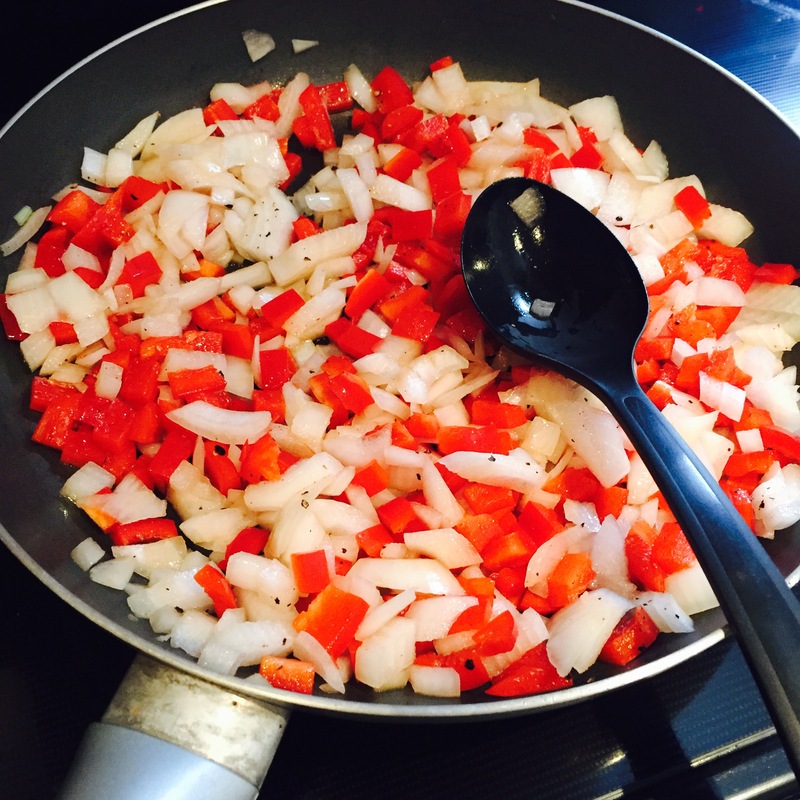 I kept it super simple with this recipe, without sacrificing the full flavor. When I was younger, my dad would prepare a “Slow Cooker Sunday” dinner every weekend. We never made the same recipe twice, and I was always impressed by the little amount of effort that it took to make something amazing! Following my Dad’s tradition, I prepared and cooked this recipe very early on a Sunday morning. The amount of chili that the recipe produced was enough to feed me and my boyfriend for 3 meals. So whether you have a big family, or you’re looking to simplify your weekdays, you will definitely be saving yourself some dollars with this one. 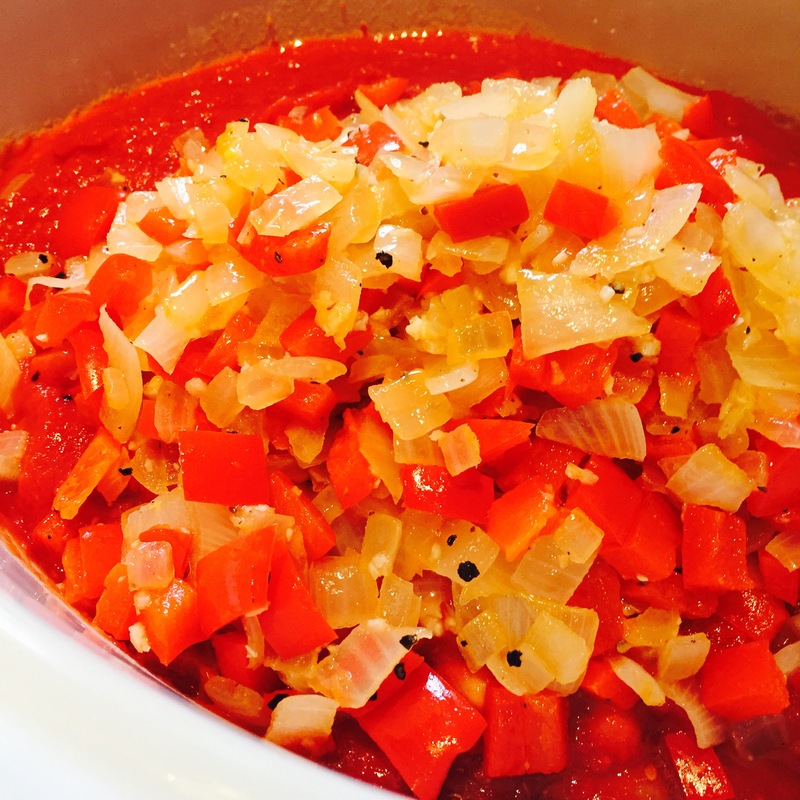 I wanted the beans and veggies to be the focus of this recipe, and I couldn’t be happier with the results. 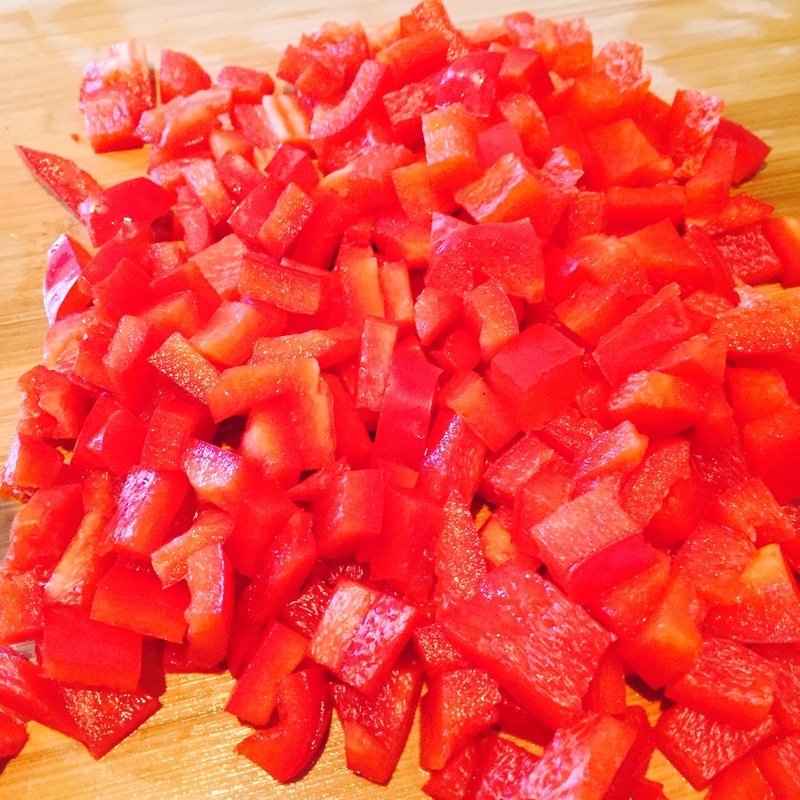 You could definitely add a pound of veggie meat, and crisp it up in the frying pan during the prep work, but it totally depends on your preference. Either way, you will end up with a delicious meal. 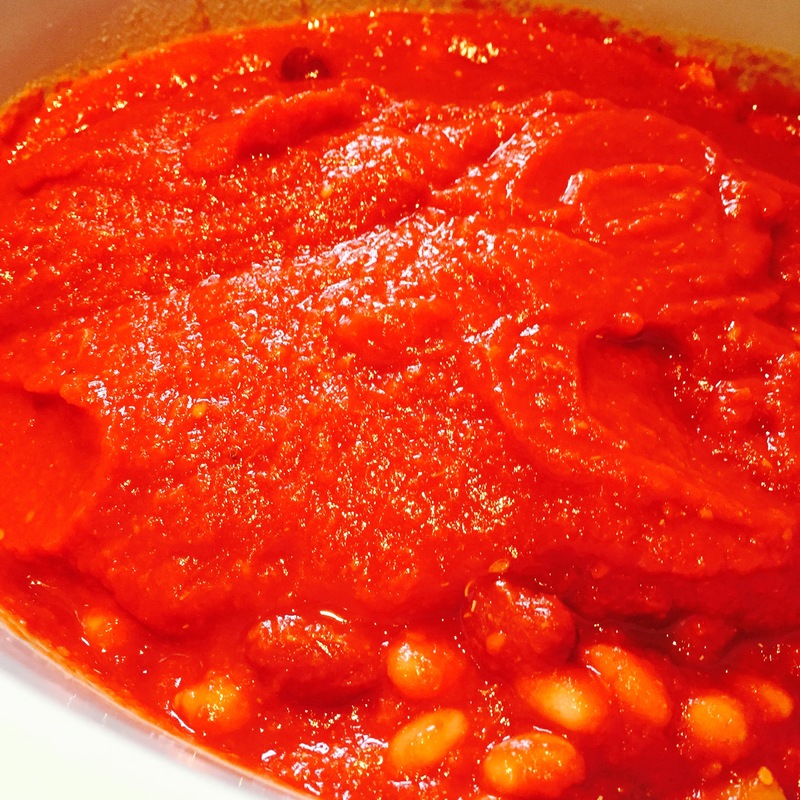 With so many beans in this dish, you will find yourself feeling full after only one bowl. 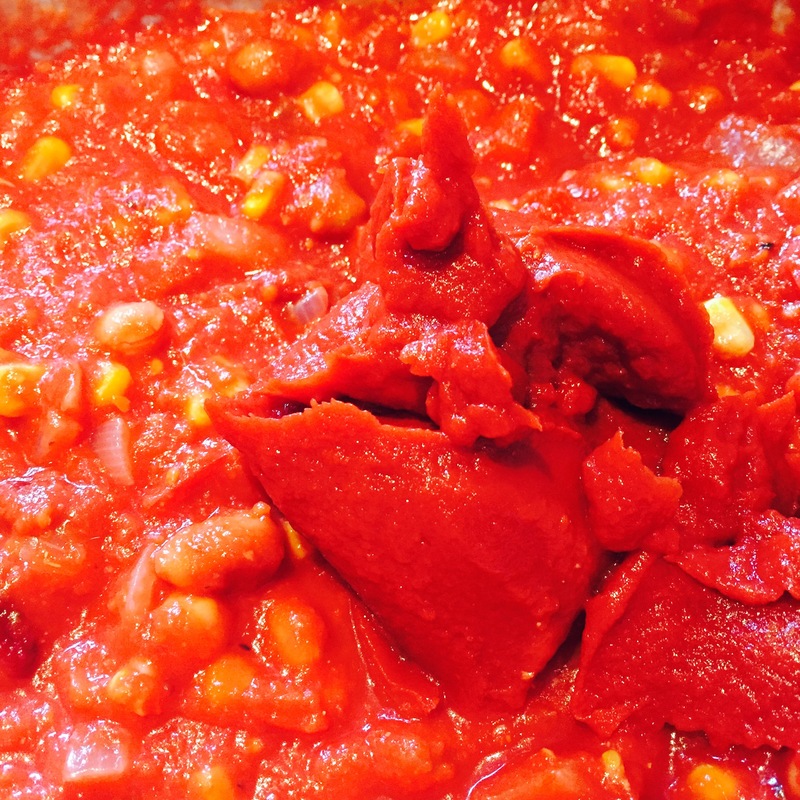 The beans get so tender while they cook, and the veggies melt in your mouth. Try toasting some crusty slices of bread to dip – it’s an amazing combo. 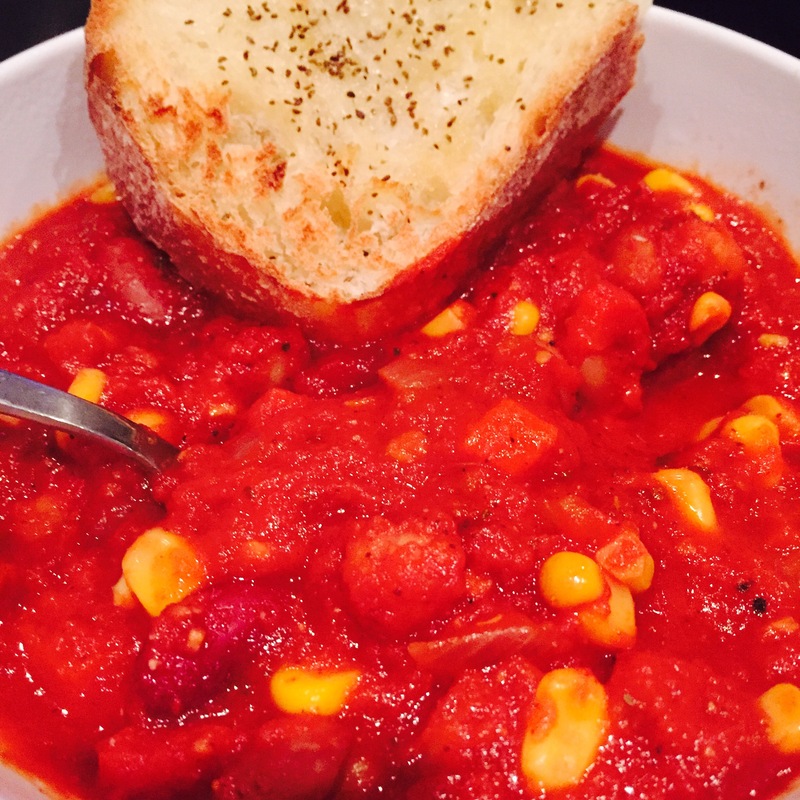 Give this recipe a go, and be sure to share with family or friends! Trust me, they will thank you. Whether you’ve got a busy week ahead, or you’re simply in need of some down time, slow cooking your meals is the best way to go. Just leave it, and then love it! 1. 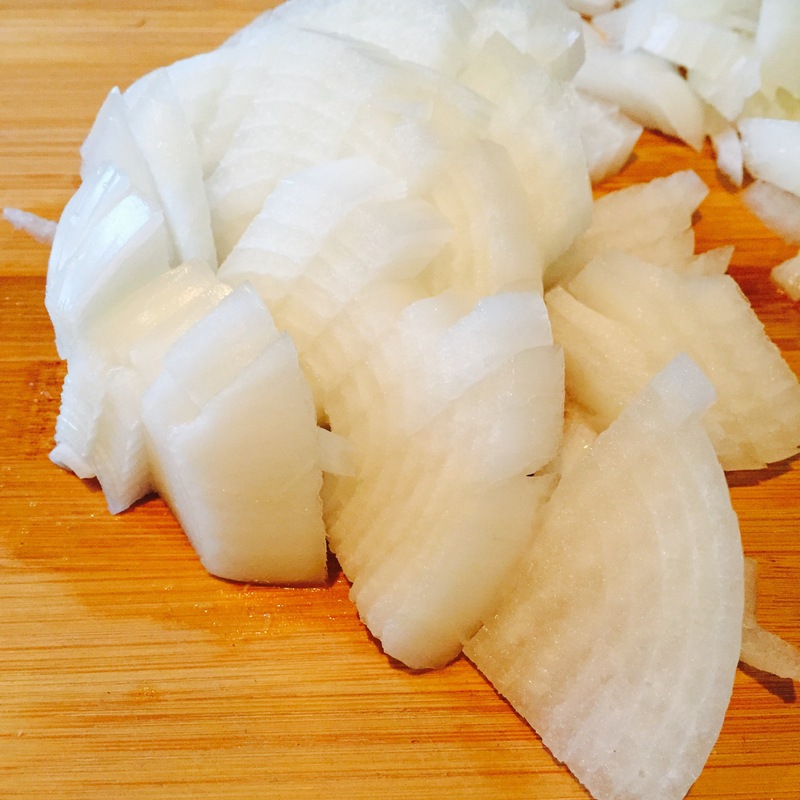 Slice the onion and peppers into 1/4 inch pieces. 2. In a medium saucepan, heat 1 tablespoon of olive oil. 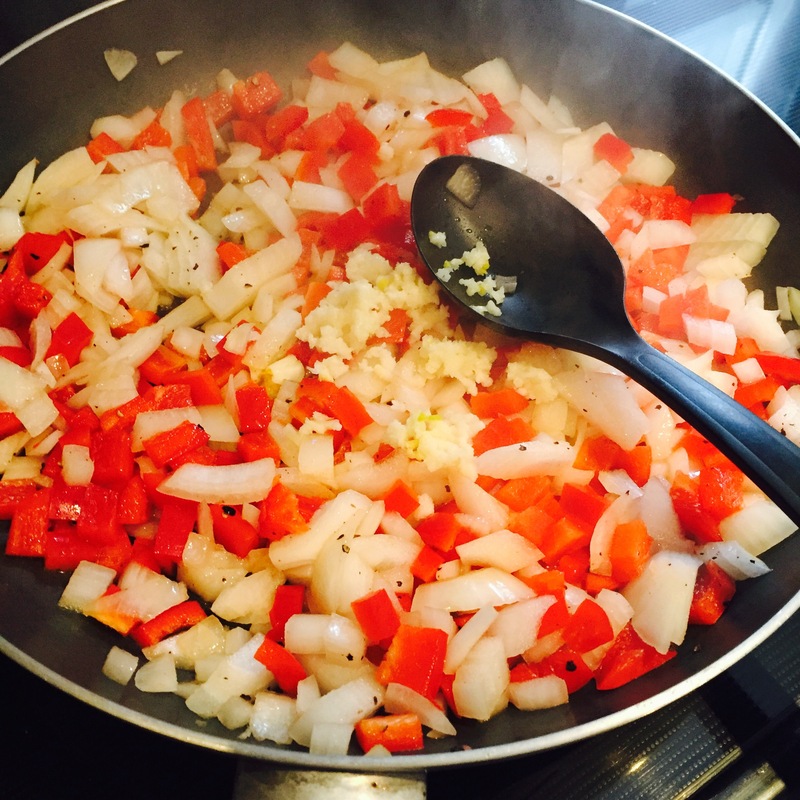 Pour the onion and peppers into the pan, and cook over medium/high heat. Add salt and pepper to taste. 3. 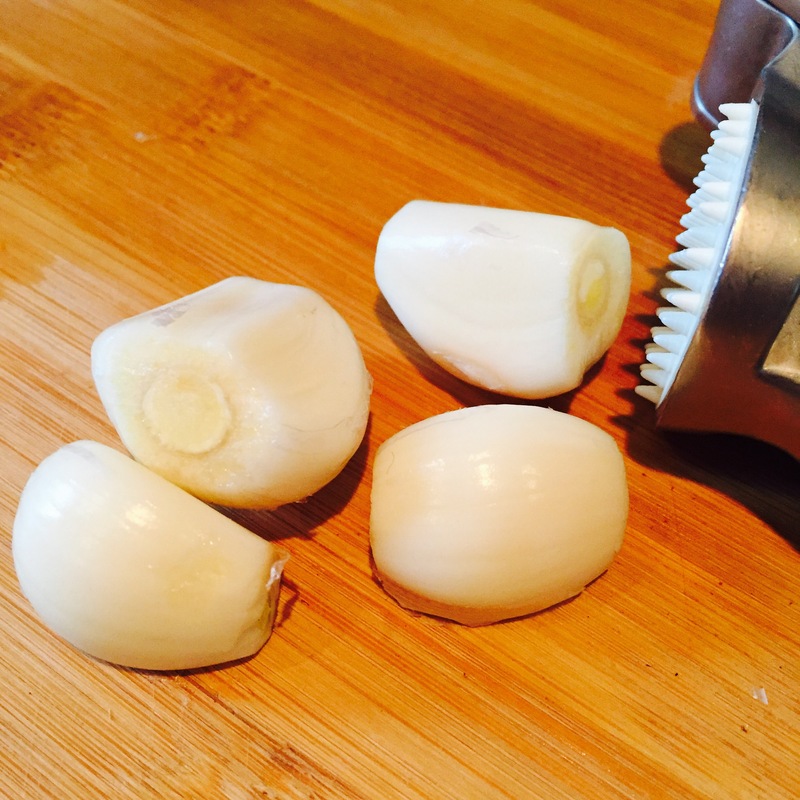 Remove the outside layer of the garlic, and use a press to prepare the cloves. Add all 4 to the saucepan, and sauté together for 5-7 minutes. 4. 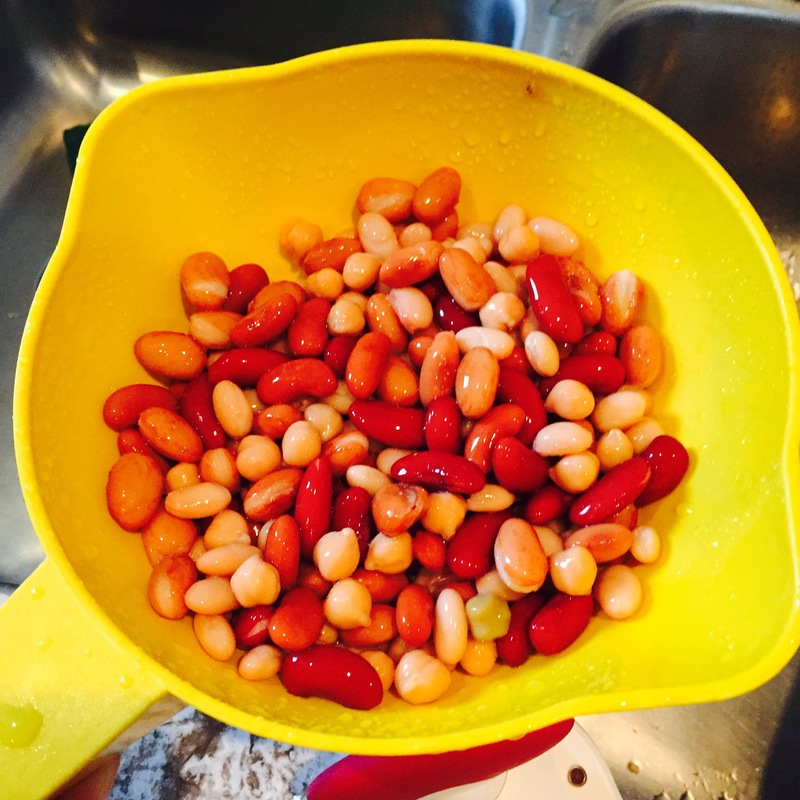 Open the cans of beans, and rinse under water in a colander. 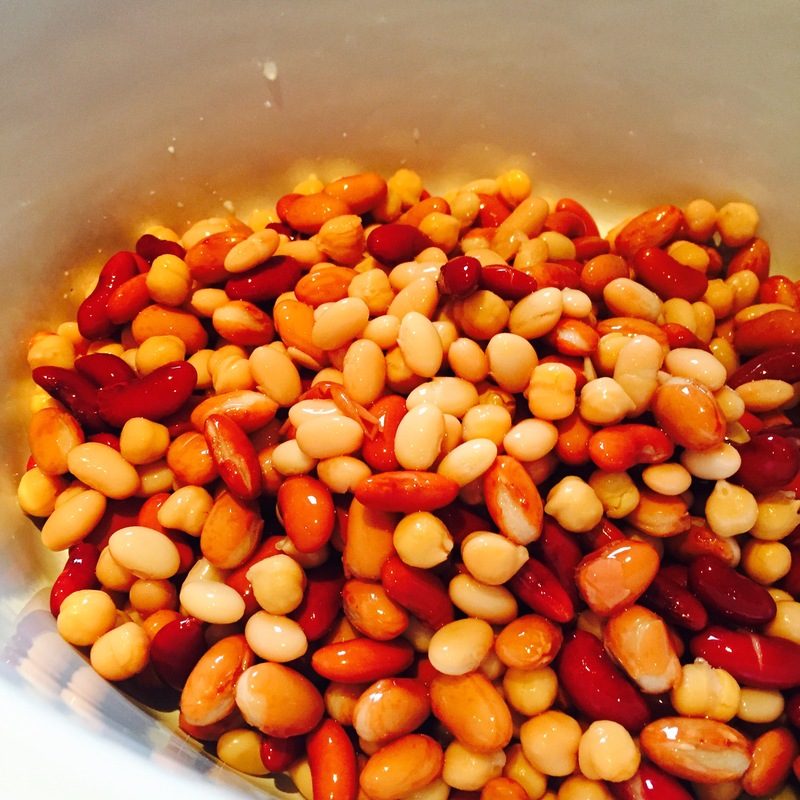 Pour all of the beans into the crock pot. 5. 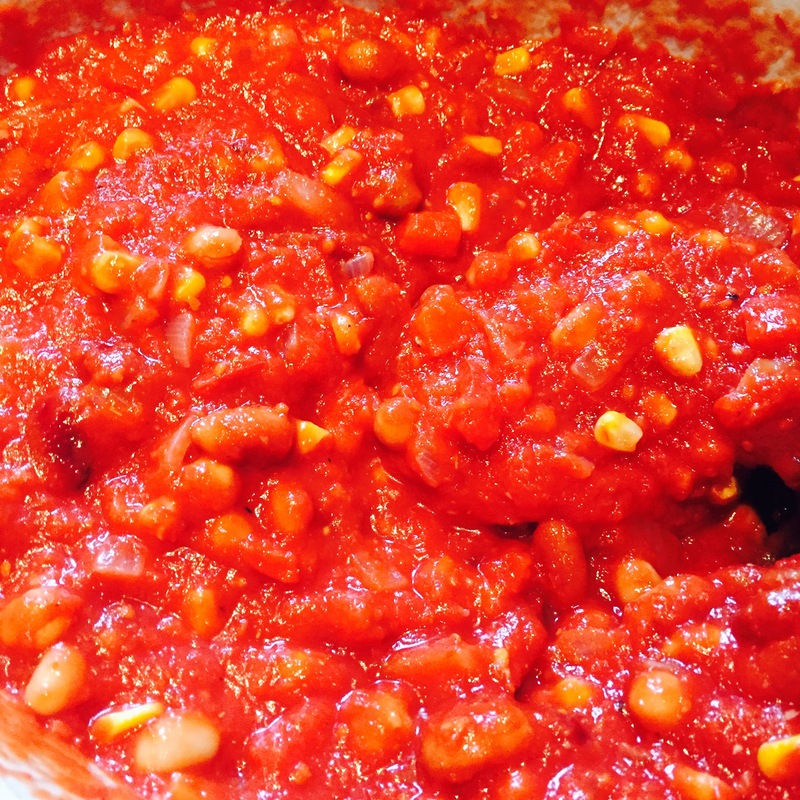 Open the crushed tomatoes, and pour both cans on top of the beans, then mix together. 6. 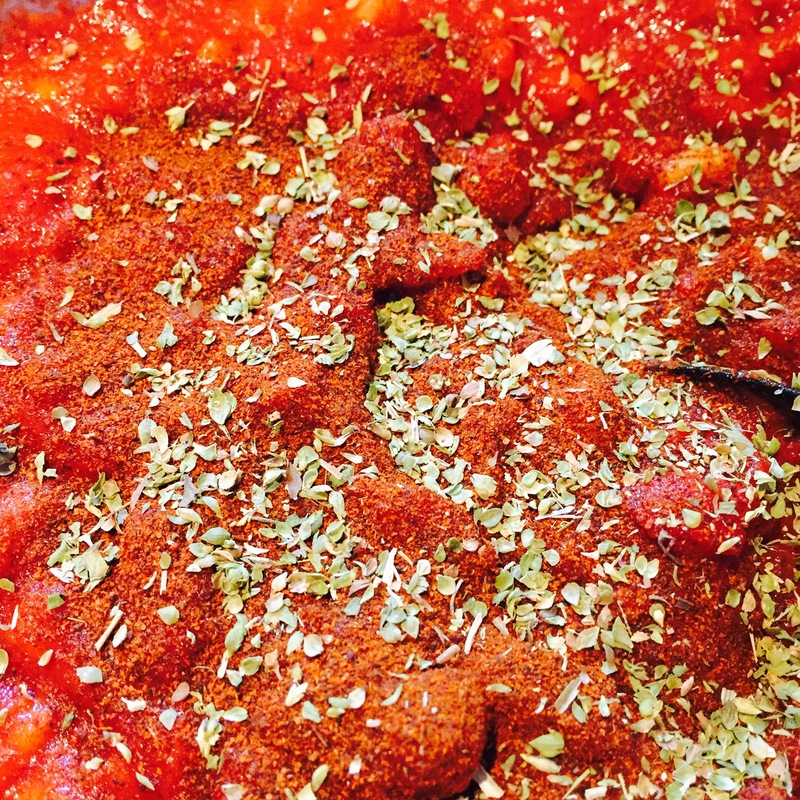 Once the veggies and garlic are tender, add them into the crock pot. Measure out the Frozen corn and mix in as well. 7. 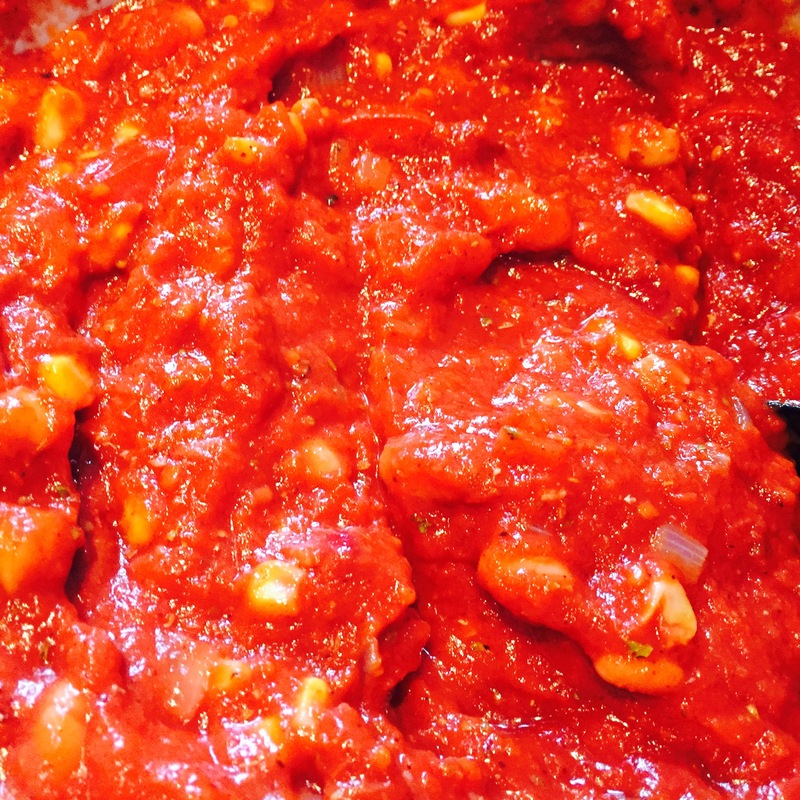 Whisk in the tomato paste, chili spice, oregano, and hot sauce. 8. 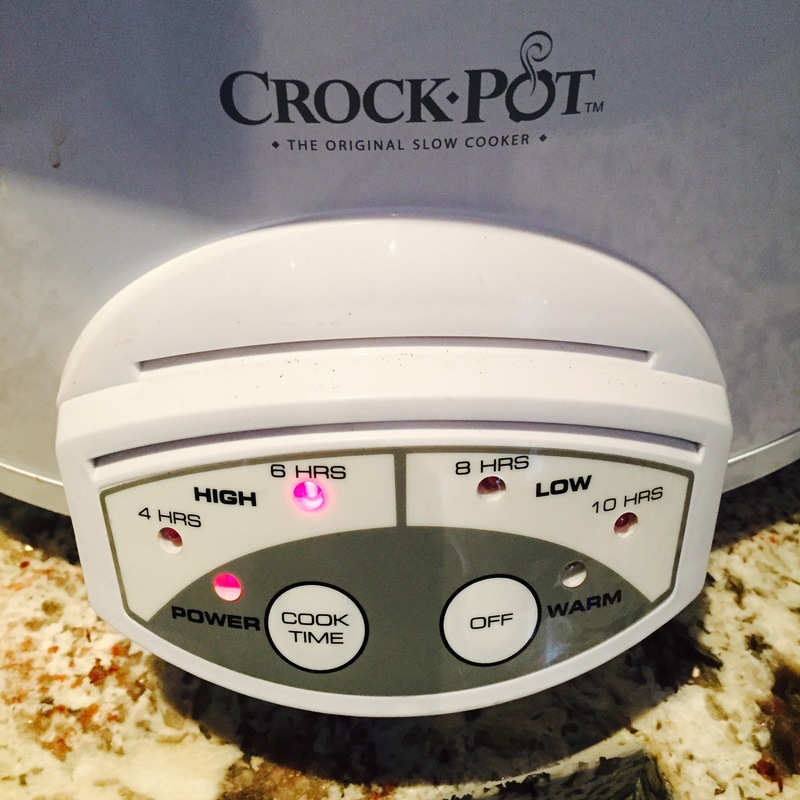 Ensure that everything is incorporated, and place the lid onto your crock pot. 9. Turn onto high heat, and cook for 8-12 hours.